The direct-response advertising from lead capture is essential these days. Whenever a company wishes to advertise its particular product or services, then the primary target of a similar campaign is to reach out to a maximum number of target audiences. The direct response industry works in that direction to transform the campaign that impact more and profitable for the firm. According to a recent study by Harris Poll, 77% of the current customers are youths. They are impatient and need to be convinced properly about a product or service before they decide to buy the same. 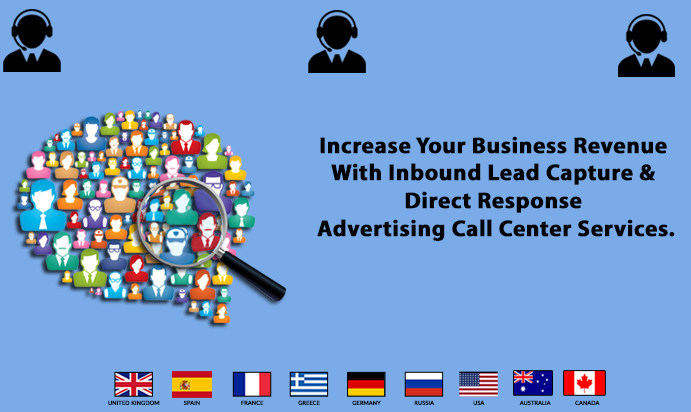 The direct response call center initiates one on one chat with prospects at convenient timings to resolve any particular pre-purchase queries if they have about the product. Personal Intervention: As per the latest consumer survey, 81% of the customers are seriously pissed off when they have to stay in calling queues for hours together. Instead, when an experienced telecaller handles the call management and personally call back a prospect to ignite his interest in the product then it is likely to create greater and positive impact. Collection and processing of necessary Leads: The basic task of call center outsourcing service includes collection and processing of leads for clients. It saves the crucial time of the owner as the call center itself does the majority of tasks. Be it an initial short listing of leads according to their interest and payment terms/ quote to their final selection (depending upon financial credibility) in the case of B2B business, the outsourced firm takes care of the same. Omnichannel Promotions on A Global Scale: These agencies work on a global scale to promote a firm’s products in TVs, print media and digital publications. Around 86% of today’s customers prefer brands having an omnichannel presence and these centers completely fulfill that goal. Outstanding Calling Etiquette and Professionalism: Once a firm accepts call centers support services then it will manage, the entire lead capture and direct response work to the best of its ability. In addition, they follow the highest level of calling etiquette and professional ethics to ensure successful conversion of leads to clients. The 2017 consumer study by Walker claimed that 75% of the people are likely to recommend a brand to others after a positive experience. 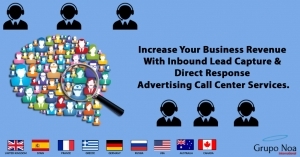 Therefore, it is paramount for a firm to outsource its lead generating requirement.